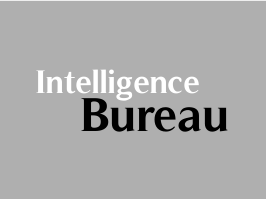 Intelligence Bureau (Ministry of Home Affairs) has published the result of Tier-II for Assistant Central Intelligence Officer (ACIO) Grade-II. Interviews will be scheduled to be conducted on 28th may 2018. Interview call letters would be sent at the registered email ID of the candidates. Check below for more details. Before attending the interview, all candidates are required to login at the website (https://recruitmentonline.in/mha11) using their registration no & password Provided at the time of initial registration, fill in the required details and Upload the certificates/documents, asked for. The candidates are also required to bring the duly filled forms/documents at the time of interview as mentioned in the interview call letter. The result of Assistant Central Intelligence Officer (ACIO) Tier II examination has been released by the Ministry of Home Affairs (MHA) on the official website — mha.gov.in. All those candidates who had appeared for the same can check their respective results at the website itself. The exam was conducted on February 25. The list of qualified candidates has been released and contains the roll numbers of all those who will now be appearing for the interviews on the basis of their performance in Tier-I exam (objective type) and Tier II (subjective type. Tier I exam was held on October 15, 2017. The interviews will now be organised from May 28. Call letters for the same would be sent at the registered email ID of these candidates. After Tier 1 exam was conducted, candidates who had appeared for the paper were dissatisfied and many even took to Twitter to complain about mismanagement, copied paper allegations while others demanded that the exam be re-conducted. Before attending the interview, candidates should login to recruitmentonline.in/mha11 using their registration number and password provided at the time of initial registration. They are then required to fill in the details and upload relevant documents. They are also required to bring the duly filled forms/documents at the time of interview.